What a great way to kick off a new year of blogging. 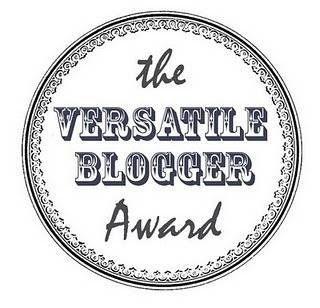 I have been nominated today with the versatile blogger award by Hannah of the super fun and interesting The Adventurous Lifestyle Lab Blog. Go check it out I am sure you will love her too! Thank you Hannah that is so very sweet of you! A) Thank the blogger who awarded you and link to her blog. C) Nominate 7 Fellow Bloggers with the award and let them know you've chosen them. 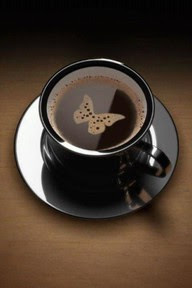 1) I start almost every day off with a warm cup of homemade coffee. Lately I've been trying to slim down and so I use skim milk and artificial sweeteners. My mornings have just been made that much better since my husband surprised me with a new Keurig coffee machine and it arrived today. I know he's just the sweetest right? I have been wishing for one since it first hit the market. Cannot wait to drink my cup of coffee tomorrow morning! 2) I am a very sentimental person so I love memories and photos and vintage items passed through the family from past generations. My mother made each of her kids a memory box from when we were born. In it are our first shoes, first haircut, first rattle, birthday cards, paintings, hand prints, hospital bracelets etc. I love going back and looking at those things and I have always been so thankful to her for saving them for me till now when I actually appreciate them. 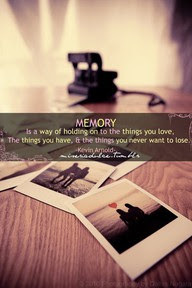 I have started a memory box just like it for my own son so that he can one day look back on those memories too. I will do the same for each one of my kids. 3) I have 5 siblings and I'm the second to oldest. I have 1 sister older then me and then 3 brothers and a sister who are younger then me. My older sister Rae is 3 years older then me and as is usually the case we sure had our differences as kids. I used to tag along with her when she was with her friends and take all her off limits, perfectly arranged items off her shelves in our room and play with them, she wasn't thrilled hehe. 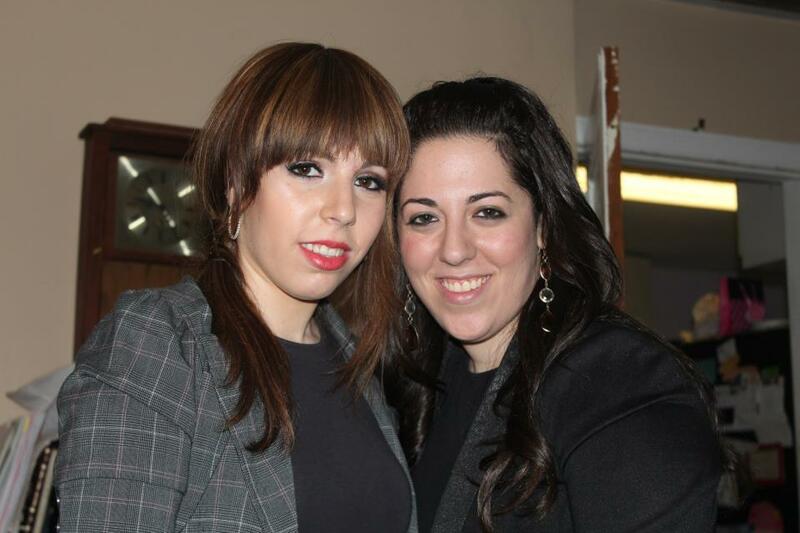 Now as adults, married with kids we get along so well and I feel like I couldn't ask for a better friend in the world! 4) My least favorite food in the world is bananas. I can't even choke one down. Just the taste makes me gag. I cannot even drink beverages or smoothies that have bananas in them. They just don't like me. 5) I am allergic to bee stings. When I was 12 I went to summer sleep away camp for the first time. As a trip we spent the day tubing down the Delaware river. Towards the end of the ride someone passed by me and told me I had something in my hair. I reached back to take it out and to my dismay felt the worst pain go through my thumb. I then realized that I had a massive bumble bee in my hair and it had stung me. Someone managed to smack it away somehow but within 3 minutes my entire hand was blown up. When we finally got back to camp my entire arm was blown up as well. The nurse gave me an epi-pen shot and that was when I found out that I am severely allergic to bee stings. She told me I was lucky it didn't bite my neck which could have caused me to stop breathing! I now keep a epi pen at hand in the summer and steer clear of bees! 6) I was born in the Midwest- Mishawaka, Indiana to be exact. I lived there until I was 7. I love when people say we're getting a huge snow storm of a whole entire foot of snow. I find that funny because I easily remember 3-6 feet at some times over there! Till today people ask me where I'm from in regards to my accent or the way I pronounce certain words. I don't feel like I have an accent of any sort but then again I wouldn't know. 7) In School, I was always good at English and History. The Science and Math was just not my thing and till today I still don't really get it all that much. I remember my teachers saying that science and math would be relevant in my every day life when I finished school, to be honest I'm doing just fine using google for measurement and I'm glad I have a calculator on my phone, without it I don't know what I'd do! Funny but true. 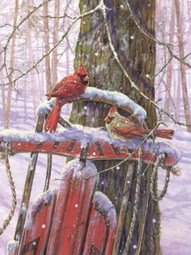 Hope you are all having a lovely week and keeping warm!